It’s never too early to discover your passion. DigiPen Academy exists to encourage and prepare students to turn their dreams into reality. From exploratory workshops to year-round academic programs, we help students discover where their skills are today and go wherever their imaginations can take them. From the whole world of academic knowledge to the technical and creative foundations of video game development, our talented teachers inspire each child while reinforcing core academic subjects that lay the foundation for great games—and great careers. 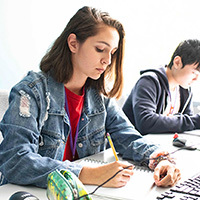 DigiPen Academy is the K-12 sibling of DigiPen Institute of Technology, which has been turning talented college-age students into exceptional engineers, artists, designers and video game creators for more than three decades. The thing that sets DigiPen Academy apart is our philosophy. We believe in meeting students where they are. In other words, ‘how’ we engage young students is as important as ‘when’ we engage them. Everyone’s vision and skills develop at different ages. Grades are merely guidelines. There is no substitute for direct, personalized assessment and instruction. Our year-round K-12 homeschool programs prepare students for college and careers with a well-rounded curriculum of arts, sciences and general academics. They develop crucial problem-solving and critical-thinking skills as they discover the essential role core academic subjects such as math, physics, writing, and art play in the creation of their favorite entertainment media. Exploring interests and expanding talents is the aim of our summer, weekend and online exploratory workshops, where kids build their creative and technical powers. Through collaborative, hands-on projects, we make it fun to learn the fundamentals of art and animation, engineering, video game design, programming, sound and music design and much more. With DigiPen Academy’s range of offerings and dedicated faculty, there’s no limit to what our students can learn and experience. Better than a textbook understanding, we enable kids to put their knowledge into practice through creative and technical projects that feed their creativity and confidence by connecting classroom concepts to real-world challenges. Our team is here to answer your questions about DigiPen Academy programs. 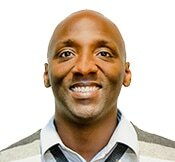 Raymond oversees all aspects of DigiPen Academy’s K-12 programs and works with the rest of the team to ensure a seamless experience for students and their parents. Darmeny is responsible for hiring, training and supporting all of the many instructors who teach our summer workshops, year-round programs and weekend workshops. 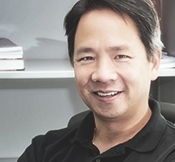 He’s passionate about helping provide the best quality instruction for all students attending Digipen programs. Thank you for your interest in being a part of DigiPen Academy. 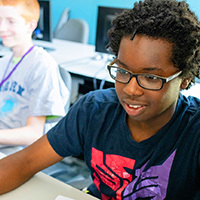 For over 20 years, DigiPen has been offering exploratory and preparatory programs to elementary, middle, and high school students interested in learning about the art and science of game development, fine arts, animation, multimedia production, and engineering. The breadth of options allows students to choose from more topics that interest them and gives returning students an opportunity to delve deeper into the subjects that captivated them in past ProjectFUN workshops. DigiPen’s academic programs and ProjectFUN workshops allow students to explore high-tech careers while developing crucial problem-solving and critical-thinking skills. Along the way, students discover the important role and relevance that core academic subjects such as math, physics, writing, and art play in the creation of their favorite entertainment media. We can’t wait to see what you will achieve and create! DigiPen Academy offers year-round K-12 education unlike any other. With a focus on individual growth, we prepare students for college and careers with a full curriculum of arts, sciences, and general academics integrated with our world-class technical and creative instruction. Exploring interests and expanding talents is the aim of our summer, weekend and online workshops. Our amazing teachers inspire each and every child to build their creative and technical powers while reinforcing core academics and critical thinking abilities. Register Now for Summer Workshops. The foundations of fine art and fantastic games. Making games can be as rewarding as playing them. Today’s video games are complex pieces of software that require a deep understanding of math, computer science, and physics. These workshops and courses cover the entire game development process and production pipeline, building the range of skills needed to turn a good game idea into the kind of high quality game experience today’s players expect. Sound thinking makes all the difference. The skills to conquer any technical challenge. 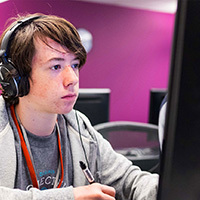 Based on DigiPen’s renowned college curriculum, our programming courses and workshops teach the foundational programming concepts that form the basis of software programs and video games. Learn the laws that govern the universe, then use them to build your own. Learn and apply the physics and engineering concepts involved in converting potential energy into kinetic energy. Design, build, and fine tune a variety of launching systems as well as a radio-controlled race car to explore the principles of mechanics, physics, electronics, aerodynamics and radio technology. Every professional or personal path benefits from a well-rounded education. DigiPen Academy teaches the full range of subjects as any other public or private school. This is true of our year-round academic courses as well as our workshops and technology programs, which actively reinforce the fundamentals by applying them to real-world problems. If you are new to DigiPen Academy we recommend you schedule a tour with one of our coordinators. DigiPen understands that the abilities and interests of students vary and we can assist you in placing your student into the appropriate courses. Our spring, summer, and online workshops are open for registration. We have a plethora of options including art, and technology.